Ensure that RNA from CSF and tissue samples are of high quality and free of hemolysis, and that tissues have an RNA integrity number (RIN) greater than 8.5. Weigh and preserve eight tissue samples in 10% NBF and liquid nitrogen within three minutes of humane euthanasia. Establish and validate methods for measuring hemoglobin and optimizing blood collection methodology to ensure low hemolysis in CSF, plasma and serum samples, and prevent interference with downstream miRNA profiling. Organize and catalog for transfer the large number of samples generated, and make sure that sample quality is not compromised during shipping. Complete 5 range finders and 5 definitive studies within 6 months. Implemented team-based necropsy approach to excise, weigh and appropriately fix tissues within the three-minute time window. 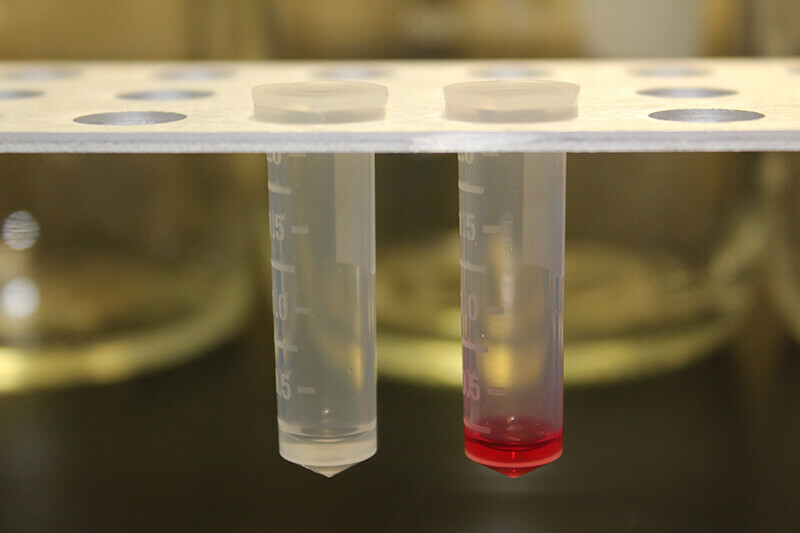 Developed methodology to accurately measure hemoglobin concentration in plasma and serum. After initial testing showed hemoglobin levels higher than the acceptable threshold (< 20 mg/dL), optimized procedures in necropsy to reliably obtain high-quality serum and plasma samples within the acceptable hemoglobin limit.. Conducted dose range finders to ensure any toxicity observed at top dose levels was a true test article-related effect and not due to dosing error. Two ILS staff members were included as co-authors on the published manuscript describing the studies: Toxicol Sci. 2016 Jan;149(1):67-88. doi: 10.1093/toxsci/kfv214. Epub 2015 Sep 22.